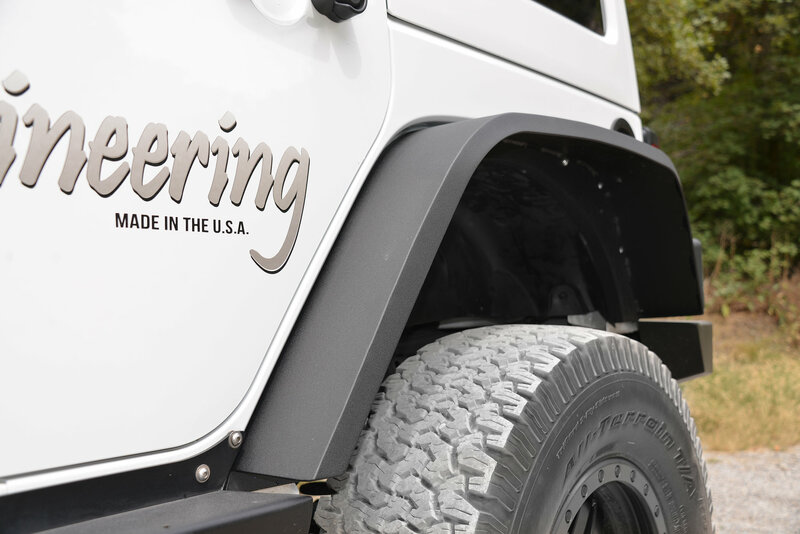 Upgrade your fenders from weak and vulnerable to strong and dependable. 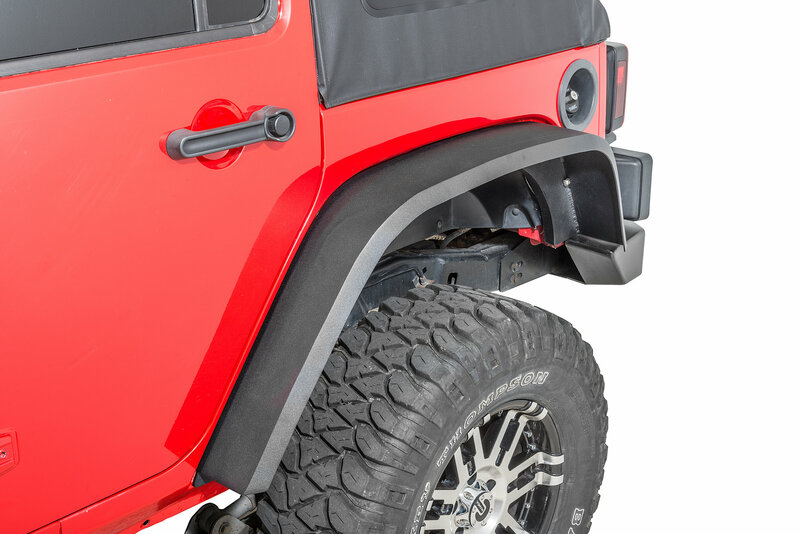 R-SE Full Length Fenders are designed to maintain your JKs classic look, while improving approach angles, eliminate tire rubbing, and increasing outer tire clearances. The new flat design gives an additional 3 of clearance over stock and comparable flare models. 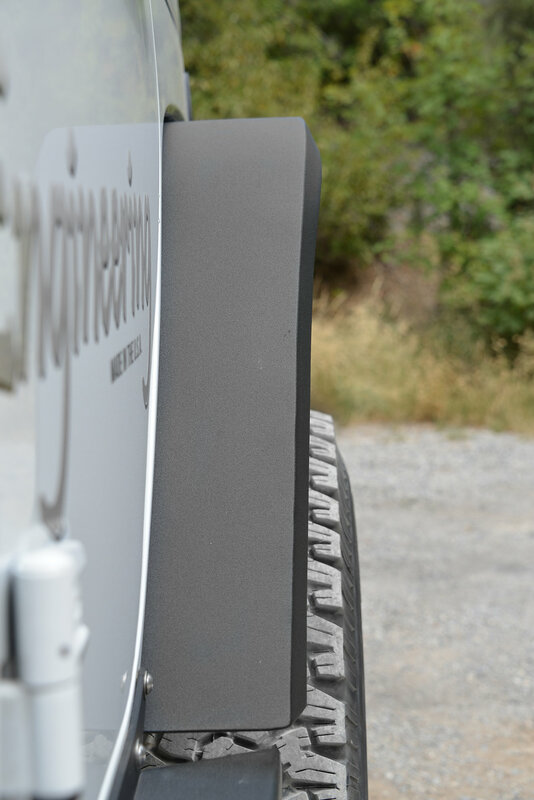 Greater clearance allows for larger tires, tighter turns on the rocks and gives you the ability to position your JK where you need to be when off-road. 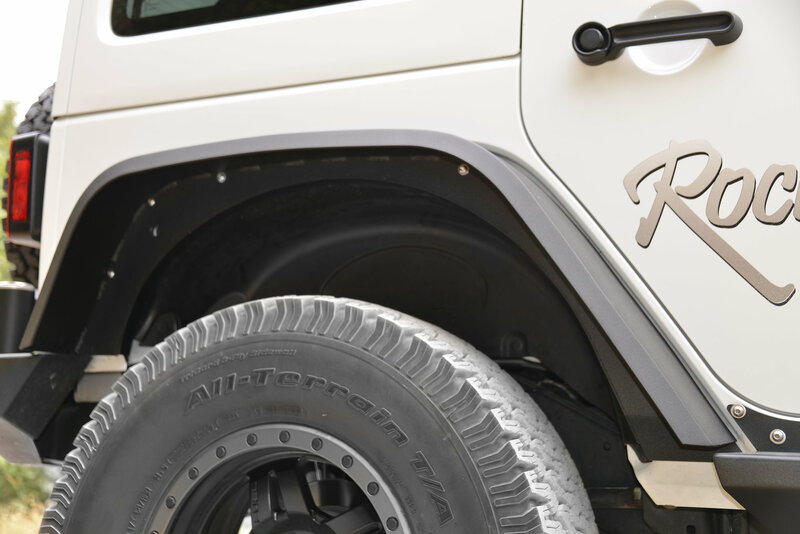 R-SE Engineers spent countless hours designing the R-SE Fender Flares to allow them to attach seamlessly to the JK without damaging the vehicles body. 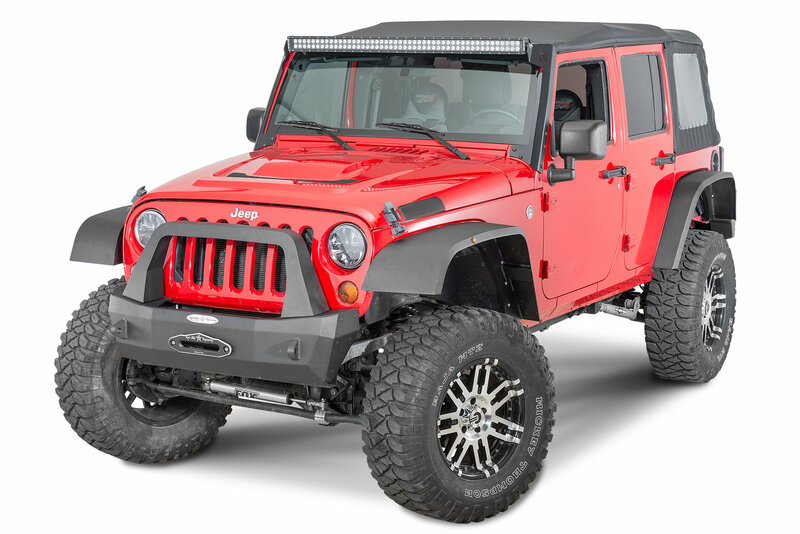 This design creates an easy, straight forward installation that incorporates your stock JK splash guards and wheel wells. 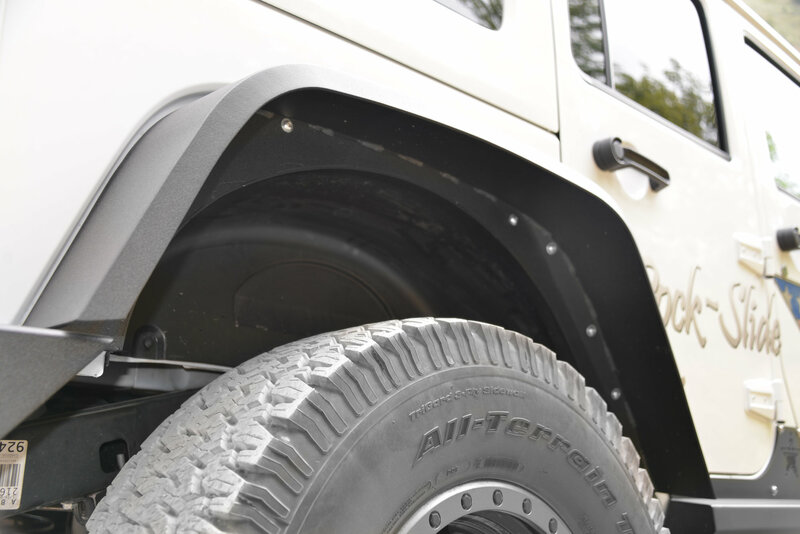 Simple in design, mighty in strength; R-SE Fender Flares provide durability and function at any angle theyre put in.